The global market for hemodialysis and peritoneal dialysis is one of the most steadily expanding markets in the global healthcare industry. 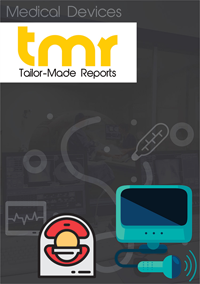 The massive rise in the number of patients suffering from kidney diseases such as chronic kidney failure and the rising number of patients opting for renal replacement therapy are working in favor of the market. Technological advancements, increased awareness regarding available treatments, and increased healthcare expenditure, especially from the patient population across developing economies, are also opening up promising growth opportunities for the global hemodialysis and peritoneal dialysis market. Besides the rising number of critical-stage kidney disease patients, the rising number of people suffering from chronic conditions such as hypertension and diabetes are also positively influencing the overall development of the global hemodialysis and peritoneal dialysis market. The market is expected to witness a positive rise in venture funding and private investment aimed at the development of new and more improved products, and a massive rise in focus and expenditure from governments across the globe for improving the healthcare infrastructure required for the treatment of critical-stage kidney diseases. However, certain factors, such as the low rate of awareness about the available treatments for kidney diseases, the high cost of undergoing hemodialysis and peritoneal dialysis, which could dissuade cost-conscious patients, especially across developing economies, from adopting such treatments, and the bleak medical reimbursement scenario in several countries could challenge the expansion of the market to a certain extent. Hemodialysis refers to the treatment wherein a complex set of tubes is used to take out blood from the body, and then run through a filter known as dialyzer. The impurities in the blood are removed and the blood is redirected into the patient’s body. This procedure is typically performed three to four times a week in dialysis centers across different commercial and medical facilities. Peritoneal dialysis (PD) is perhaps the simplest form of dialysis, which can be performed with minimum lifestyle changes and high degree of freedom. In this method, the exchange of dialysis fluid can be done through a synthetic tube which is placed in the abdominal cavity. The increasing incidence of end stage renal disease (ESRD), diabetes, and hypertension, lower patient preference for kidney transplants, along with technological advancement in the field of hemodialysis and peritoneal dialysis have been the major growth drivers of the market. As peritoneal dialysis offers benefits such as minimal interference with lifestyle and routine, personalized treatment for individual needs of patients, and can be performed at home, and even while the patient is asleep, thus saving significant amount of time, numerous patients with responsibilities and active lifestyles have been opting for this form of maintenance dialysis. On the other hand, growth of this market might be inhibited as this procedure needs to be performed every single day and also increases the risk of peritonitis (infection of the membrane that lines the abdomen). However, significant growth opportunities might crop up as increasing investments are directed toward product development. The global market for hemodialysis and peritoneal dialysis has been witnessing considerable number of new product launches and product approvals. For instance, in March 2017, Humacyte received the first Regenerative Medicine Advanced Therapy (RMAT) Designation for its investigational treatment called Humacyl, by the US Food and Drug Administration (FDA). Similarly, during the same month, NxStage Medical Inc.’s System One, a next-gen hemodialysis system received the CE mark in Europe. The system features new capabilities such as integrated blood pressure monitor and a touchscreen user interface. Another authorization by the European Commission (EC) was granted for Amgen’s Parsabiv, a new calcimimetic agent administered to adult patients suffering from chronic kidney disease (CKD) who are undergoing hemodialysis. North America is likely to dominate the global market for hemodialysis and peritoneal dialysis over the forecast period. According to the findings of U.S. Department of Health and Human Services, nearly 47,000 Americans lost their lives to kidney disease in 2013. The overall incidence of chronic kidney disease was found to be around 14%. As a result, the demand for peritoneal dialysis and hemodialysis is expected to rise substantially in the U.S. European countries are also slated for significant growth. Asia Pacific will exhibit maximum growth over the next few years, as the market in this region is driven by growing healthcare expenditures, rising awareness about health, increasing purchasing power of people, and rising incidence of health conditions. A number of market players have been undertaking mergers and acquisitions, collaborations, and partnerships, apart from expanding their product portfolios. For example, in February 2017, a leading US-based provider of dialysis services, DaVita HealthCare Partners Inc. announced its partnership with Cigna, a healthcare insurance service company on a global scale. Some of the major companies operating in the global market for hemodialysis and peritoneal dialysis are Nipro Corporation, B. Braun Melsungen AG, Fresenius Medical Care AG & Co. KGaA, NxStage Medical, Inc., DaVita Healthcare Partners, Inc., Diaverum Deutschland GmbH, and Baxter International, Inc.